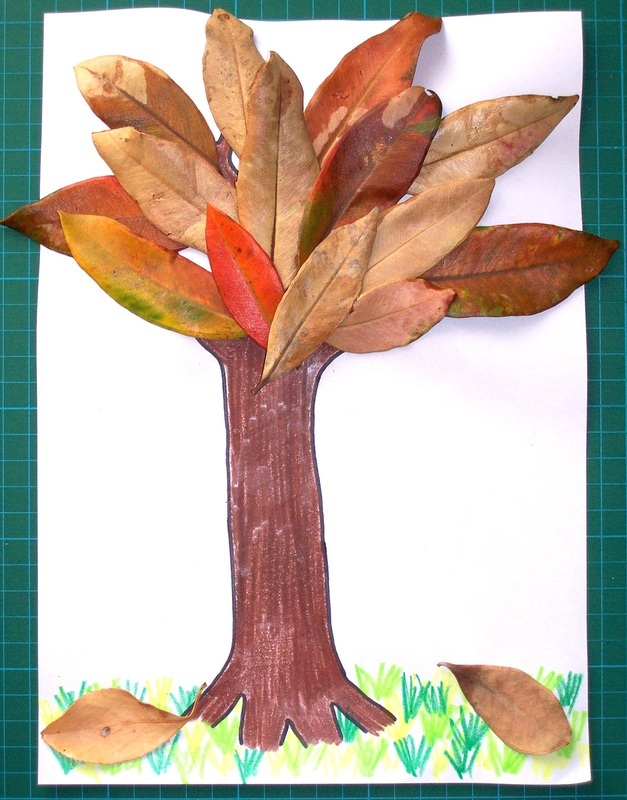 Autumn Leaves craft for kids. Kids will enjoy collecting the leaves to do this craft. Leaves of all shapes and colours can be used. The brighter the better. 1. Colouring Tools eg. Textas, crayons, pencils, paints. 2. Double-sided tape or glue. 3. Autumn leaves. Leaves less than about 10cm length are best. 1. 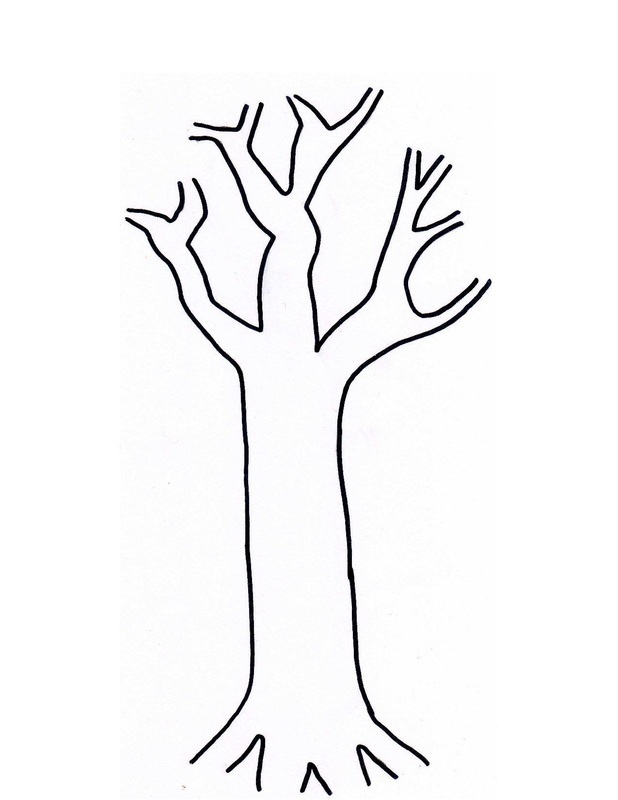 Print off the Autumn Tree template by opening the pdf doc (below). The template is A4 paper size. 2. Colour in the tree trunk. If you would like, add grass around the tree's roots. 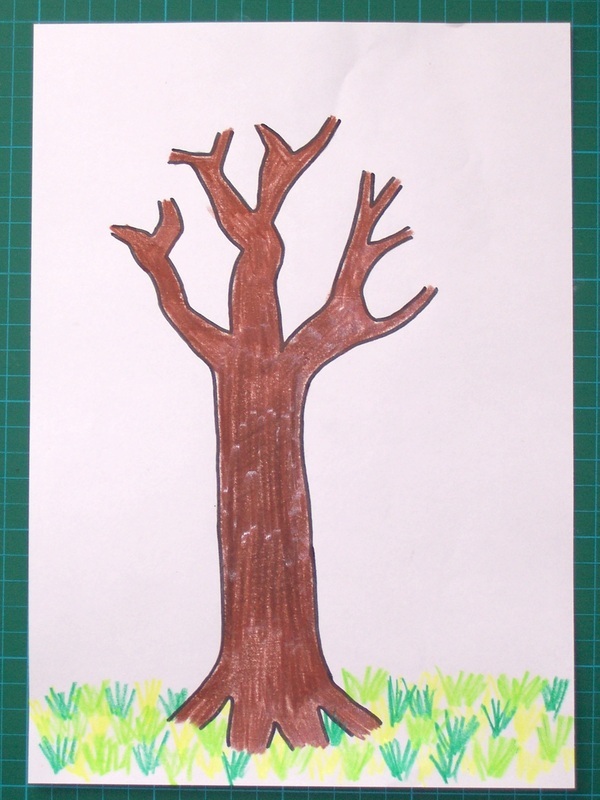 You could colour the sky blue, or draw flowers or an animal next to the tree. 3. Using the double-sided tape or glue, attach the leaves to the tree. If you put the outer leaves on first, you will end up with a better looking tree. Add a few fallen leaves on the ground around your tree.